MuzikMan's Reviews And News: Supertramp Founding Member & King Crimson Songwriter Richard Palmer-James Releases Debut Solo Album “Takeaway” OUT NOW! 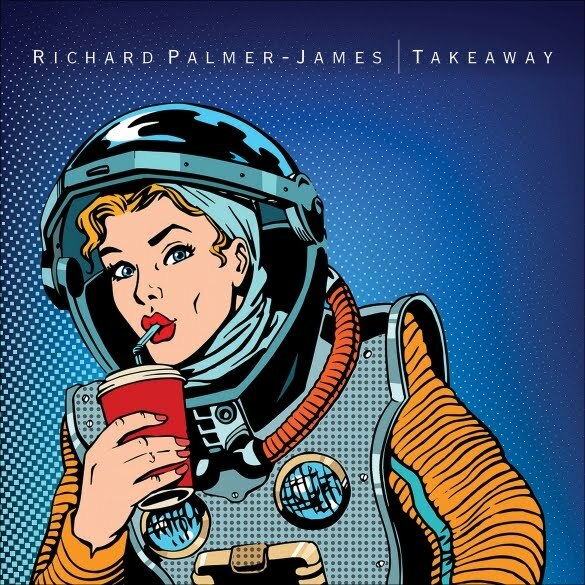 Supertramp Founding Member & King Crimson Songwriter Richard Palmer-James Releases Debut Solo Album “Takeaway” OUT NOW! London, UK - Supertramp founding member & King Crimson songwriter Richard Palmer-James has released his debut solo album “Takeaway”! An English songwriter & guitarist, Richard is best known for having written lyrics to several songs by the progressive rock group King Crimson in the early 1970s. Says Richard, “Having spent the last few decades writing words for other people to sing, and thus being obliged to comply with the ambitions and sensibilities of others, I wanted to present a collection of songs that are uncompromisingly my own. “I've been trying them out in club and pub appearances as a singer/songwriter, and they seem to work, but I'm very curious to see what sort of reaction this album production, which was realised with the indispensable help of a few talented colleagues from the Munich music scene, might elicit. Richard Palmer-James got his start in the music business playing in various Bournemouth bands: The Corvettes, The Palmer-James Group (formed with Alec James), Tetrad, and Ginger Man, all of which also included John Wetton on bass and vocals. He was a founding member of Supertramp; he played guitar, sang vocals and wrote the lyrics for their self-titled debut album under the name Richard Palmer and co-wrote the lyrics of the song “Goldrush”, a song written during his days in the band and finally recorded on their 2002 album “Slow Motion”. Richard wrote lyrics for three of King Crimson's albums: “Larks' Tongues in Aspic”, “Starless and Bible Black”, and “Red”. He did not participate in any of King Crimson's recordings, but worked with John Wetton and David Cross after Robert Fripp disbanded the group in 1974. In 1978 Richard was visited by John Wetton and W.J. Hutcheson, who were his bandmates in Tetrad, and they recorded as “Jack-Knife” an album with the German drummer Curt Cress in 10 days called “I Wish You Would”. He also wrote the English lyrics for the Italo Disco inventors La Bionda. Today Richard makes his living mainly as a lyricist and performing on guitar live. In support of his new album, Richard Palmer-James will be playing showcase concerts in the UK and Germany.